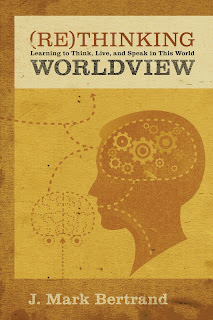 Click here to learn more about (Re)Thinking Worldview. 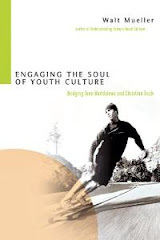 Note: A review of Rethinking Worldview: Learning to Think, Live, and Speak in This World (Crossway, 2007) is featured in the fall edition of Engage: The Journal of Youth Culture from CPYU downloadable for FREE. J. Mark Bertrand (JMB) is on the faculty of Worldview Academy, an academic summer camp for high school students, and is the fiction editor at Relief Journal. 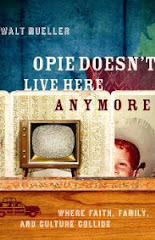 CPYU: What motivated you to write this book? Or perhaps better, why did you think that worldview needed to be rethought? JMB: It dawned on me that everyone in the church was talking about worldviews, and at the same time most of them really weren’t. What I mean is, the rhetoric had been adopted while the reality had not. When I was first introduced to the worldview concept—the idea that we build perceptual frameworks that then influence our interpretation of new information—the potential for theology and apologetics seemed explosive. Today, though, there are all these burning fuses and nothing’s blowing up. Because it was so watered down, and the results so accommodated to the wisdom of our age, I thought it was time to rethink worldview. The alternative would be to abandon the concept, and that would be a tragedy. CPYU: You suggest that the term worldview has been used wrongly, especially by people interested in the “culture-wars.” What are a few practical examples of how the term is misused? JMB: Politics is a great example. One of the staples of evangelical worldview discourse has been the articulation of “the biblical perspective” on a variety of policy issues. That sounds promising. It sounds more than promising. But then you get to the conclusion, and it turns out that God’s position corresponds perfectly to one side or the other of the current debate. Politically conservative Christians discover that God is a free market capitalist who likes small government and minimal spending on social programs, while progressive Christians discover just the opposite. Remember the petition a few years ago declaring that God was neither a Republican nor a Democrat? The title sounded good, but the details made him sound like a pretty committed progressive, albeit with pro-life scruples. Conclusions this predictable tend to devalue the process by which they were reached. For another example, read the letters section of World Magazine, which seeks to cover news and culture from a Christian perspective. It seems like every issue includes an angry letter from a shocked reader complaining that an R-rated movie was reviewed. (Not that it was reviewed positively, but that it was reviewed at all.) Worldview thinking ought to produce cultural engagement, but all too often we’re faced with people who talk the talk of engagement but walk the walk of isolation. One of the things that makes the “culture wars” interminable is that they’re mainly being fought by people content to fire blindly over the barricade, without first identifying their targets (or even checking whether they’re friend or foe). CPYU: Many of our readers are parents and youth pastors working with teens. Why do you think teaching teens about a Christian worldview is important? JMB: Because you can’t give them all the answers or keep them from hearing other arguments. Worldview thinking inoculates teens against the either/or dilemma they might otherwise face when someone smarter than their parents or pastors, someone with impressive credentials and a persuasive case, insists that everything they learned at home and in church was a lie. The greatest fear Christian parents often have is that their children will reject the faith. Instead of acting from a place of fear and sequestering them, worldview thinking instills in teens a confidence in the truth that actually prepares them for encountering opposition. Let’s face it. Sheltered teens become adept at compartmentalization. They aren’t as ignorant of the surrounding culture as we believe—they just dissemble their knowledge when playing the pious role. They learn how to say the right things to please authority figures. But when those figures change, they’re equally skilled at saying the right things (or at least, not saying the wrong ones). When you cultivate a habit of worldview thinking in teens, though, it tends to tear down the compartments. 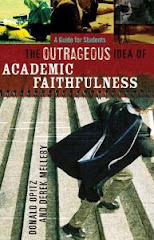 Every aspect of life is scrutinized, emphasizing the importance of biblical thinking and practice across the board. I’m not saying that sheltered teens always go astray and worldview thinkers always hold firm to the truth, but in my experience, the person with a worldview orientation fares better than the one without. The fact that worldview talk is so popular in student education is a reflection of this. What I want to do is put some punch back into the talk. CPYU: What are some of the toughest challenges that you have faced when teaching teenagers today? Have you noticed any changes since you started teaching teens? JMB: I don’t talk to teens any differently than I would an adult audience. I made a decision when I started that I’d never talk down to my students. I’d let the hard questions stay hard—in fact, I’d make them harder if need be. It seems to have worked. 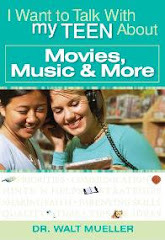 Teens are much more sophisticated than they are experienced. Before they’ll listen to your experience, they have to believe in your sophistication. You have to prove it isn’t ignorance that motivates you, but knowledge. 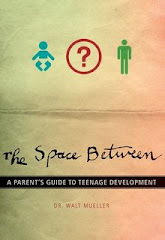 The most challenging aspect of teens is what they have in common with the rest of us. As comfortable middle-class North Americans, we enter a classroom expecting to be pandered to. We look at knowledge the way a consumer views a product. We expect to be entertained, emotionally engaged, and ultimately affirmed in their starting assumptions. Since we all grew up watching television instead of reading and talking about books, many the discursive skills that go hand in hand with literacy are on the wane. 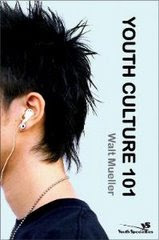 Teens might actually have it a little better than their parents, since the Internet has at least fostered an abridged form of literacy, but being able to read a passage and immediately get the gist of it seems to be a specialized skill these days, which is troubling in a text-oriented community like the church. CPYU: As you work with teenagers and see them off to college, what do you think are some of the key things that churches should be doing to prepare them for life after high school? JMB: The overall message we send teenagers is how important it is to make the right decisions in your personal life: keep your faith, find the right spouse, get qualified for a good profession. Responsible decisions, by and large, are safe decisions. But what would happen if the focus shifted from making a success of yourself to making a contribution to the world around you? If we raise young people to pursue their own happiness, they will never find it. If we raise them to be selfless, they might find much more. Along these lines, I think it’s important to stay true to the old liberal arts idea that education is its own reward, and instead of giving students crib notes to guide them on life’s most important decisions, we should instill wisdom so they can actually make sound decisions all on their own. How can the church help this process? By not letting the quest for a biblical worldview end as a doctrinal abstraction. By letting the faith be as big and intractable and mysterious as it really is, and instilling a total reliance on Christ. Also, instead of having expectations about what young people will do when they go out into the world, we can start having expectations about how they will do it—and for whom. This is where a dogged and determined pursuit of a biblical worldview really pays off. The worldview nurtures a life of wisdom and that life expresses its highest urges in contributing truth and beauty to the surrounding culture.